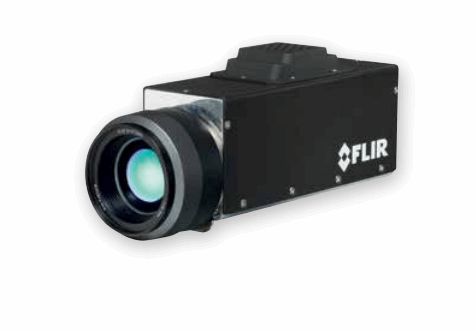 The FLIR G300 a includes a cooled InSb detector producing thermal images up to 320 x 240 pixels. The camera features a low F-number and a high sensitivity mode to further enhance detection levels for the detection of even the smallest gas leaks. This model is easy to control from a safe distance, and can be fully controlled over Ethernet or integrated into a TCP/IP network. The imaging camera is available with a 23 mm (FOV: 24° × 18°) or 38 mm (14.5 x10.8) lens for a narrower field of view. For additional information on the G300 a optical gas imaging camera, download the available datasheet.